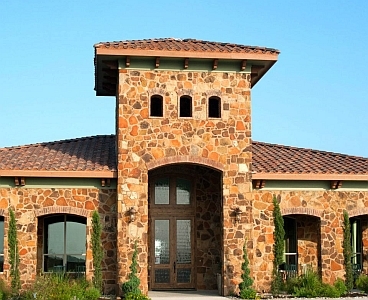 The start of the Autumn wine festivals is about to begin in Texas. We think we will be attending at least five festivals and the first one will be the Dripping with Taste Wine & Food Festival at the Texas Hill Country Olive Company in Dripping Springs on September 8th. It will be over a 3 hour drive for us but the lineup of wines, beers, foods, artisans, and events looks so great we can’t pass it up. 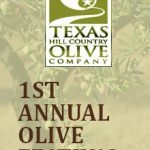 We have heard great things about the Texas Hill Country Olive Company so having the wine and food festival located on their grounds offers a double benefit. 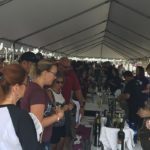 There will be more than 20 wineries present, local craft beers, dozens of area gourmet and specialty foods, and more than two dozen artisan vendors. Add to that cooking demonstrations and live music entertainment and you have a festival which will be tough to beat. This year’s festival will include Texas sake and sparkling hard cider from Argus Cidery. 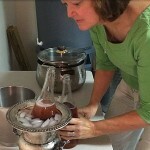 I grew up loving apple cider so it will be interesting to try a sparkling hard cider. The cider is made from apples grown by Texas farmers and after pressing, fermenting, and aging, the result is a Champagne-like bubbly. There are three types of tickets available and starting September 1st only General Admission tickets will be available. See the Tickets page for more information on what you get with each type of ticket. The hours of the festival are from 1pm-7pm. Please see the Dripping with Taste Wine & Food Festival website for more information. Hope to see you there! Update: For some photos from the festival, please see my Facebook page. You are right! DWT2012 is going to be a total fest! Texas Legato will be there and Bill promised to bring me some of the hard apple cider. I’ll be attending the Harker Heights event that day. So…if anyone can’t make it to Dripping Springs, come to Harker Heights. We’ll miss seeing you. It will be nice seeing Bill again.